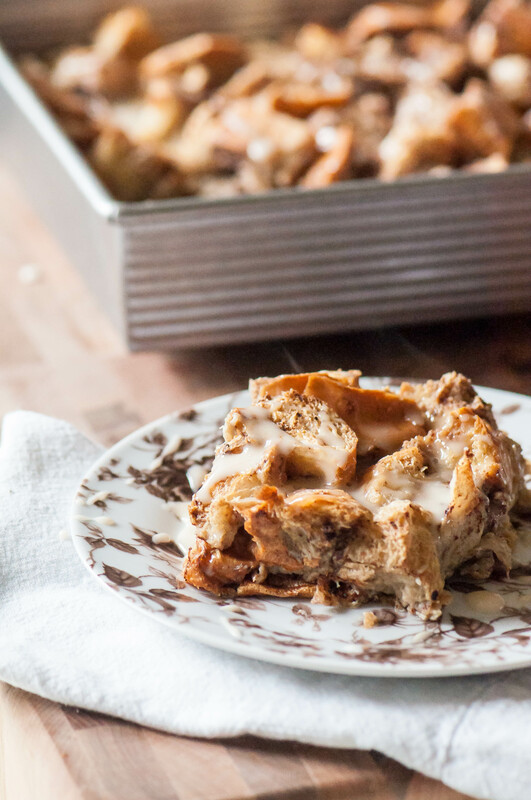 Keep this Overnight Coffee French Toast Bake on your radar for Mother’s Day. It’s simple to make the night before for a delicious and easy way to treat mom to breakfast in bed. I don’t know how I did this mom thing for so long without coffee. I did it for about 4 years before I was brought to the dark side and now there is never any going back. I was one of those lucky moms most people hated that had a baby that slept through the night from 3 months on. I was spoiled people but Hannah came raging into the world to change all that. The girl is going to be 4 this year and still doesn’t sleep through the night. I’m lucky if I get two nights a week without her waking up. Does anyone have any stellar advice for getting her to sleep all night? You know, besides ear plugs. For now my regimen is coffee on coffee on coffee. Like the majority of moms. Because we all need coffee in our lives I’m sharing a new, fun way to get that caffeine in. This Overnight Coffee French Toast Bake uses two of my favorite things, coffee and bread, to create a fun and super simple breakfast that any mom would love to be surprised with on Mother’s Day morning. Coffee is used two ways in this french toast bake. First, I replaced a large portion of the milk that is usually in the egg mixture with cold coffee. The cubed bread soaks up the coffee goodness all night long before being baked up in the morning. The second hit of coffee comes in the form of glaze. I skipped maple syrup on this French toast and went with a simple powdered sugar and coffee glaze to sweeten it up and increase the coffee flavor. If there’s a coffee loving mom or anybody for that matter in your life this is the breakfast for them. Served with a piping hot cup of their favorite joe of course. Keep this Overnight Coffee French Toast Bake on your radar for a super simple Mother's Day breakfast. Treat mom to a special breakfast she deserves. Place cubed bread in a 13x9 pan. In a large bowl, whisk together the milk, coffee, eggs, vanilla, sugar, cinnamon and cocoa powder. Pour over the cubed bread and stir until completely coated. Cover tightly with plastic wrap and refrigerate overnight. In the morning remove french toast from refrigerator 30 minutes before baking and preheat oven to 350 degrees F. Remove plastic wrap and bake for 40-50 minutes, until golden and hot throughout. In a small bowl, whisk together the powdered sugar and coffee. Drizzle over the hot french toast. Oh my goodness, you’re so kind. I’m so glad you enjoy the recipes. Thank you so much for your sweet words, you made my day! This looks amazing! My kids will love this!